Knowing where to go to resolve your Macintosh related problems in Leeds can be a lifesaver on the rare occasion that your Mac breaks down, or when your needs go beyond your level of technical expertise. Our pricing is very competitive and in many cases, we are far less expensive than most alternatives. In many cases we are able to fix your Mac while you wait. We believe we offer the fastest Mac repair in Leeds. Whatever the problem you may be facing with your Macbook or iMac, We are here to help in Leeds. Apple Mac repair services Leeds by iFixExpress UK. Apple Mac repair Leeds, West Yorkshire. Quality iMac, Macbook Pro, Mac Pro, Mac Mini, and vintage Macintosh repair services in leeds. Same day services. 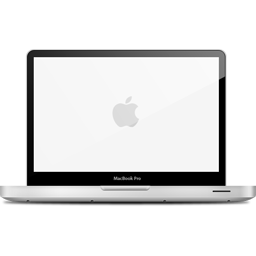 Macintosh support experts covering Leeds, West Yorkshire. certified iFixExpress Technicians on hand for all your repair and support needs. 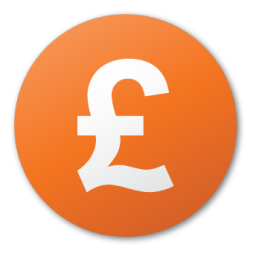 Our pricing is very competitive and in many cases, we are far less expensive than most alternatives. We are also able to fix a wide range of issues the same day while you wait. or within 24 hours. All of are work is guaranteed by warranty for your peace of mind. Mac repair leeds services include data recovery, screen replacement, glass unibody replacement, tracker pad and keyboard replacement, hard drive replacement and upgrades. We also provide on site services for Mac repair to students in Headingley – Leeds University. Are services also include an iPhone repair leeds mobile service, iPad repair Leedsexpress service, and now we have added Samsung Galaxy smartphone repairs to our line up. Mac Repair services cover: LS17 Alwoodly, LS16 Adel, Bramhope, Cookridge, Eccup, Far Headingley, Holt Park, Ireland Wood, Lawnswood, Moor Grange, Tinshill, Weetwood, West Park. LS17 Alwoodley, Bardsey, East Keswick, Eccup, Harewood, Moor Allerton, Moortown, Shadwell, Weardley, Wike. LS18 Horsforth. LS19 Rawdon, Yeadon. LS20 Guiseley. LS21 Arthington, Otley, Pool. LS28 Calverley, Farsley, Pudsey, Stanningley. LS29 Addingham, Ben Rhydding, Burley in Wharfedale, Ilkley, Menston. LS22 Collingham, Linton, Wetherby, Linton, Huddersfield, Halifax, Wakefield, Bradford, and Harrogate for Apple Mac Repair. iFixExpress in Leeds is your one-stop-soluiton for affordable and trustworthy computer and laptop repair of Macintosh products. Hardware & software consulting, or training available. we can also go on-site to andy of the above areas in Yorkshire and bring the solution to you. iFixExpress Leeds is dedicated to offer the most friendly, reliable and honest service and support available anywhere. We specialize in same day service, and we have an average turnaround time of less than 24 hours on most jobs. Why not contact us today for a quote or advice.